A sky as blue as one found in a child's storybook greeted the New York City area after Hurricane Irene, but missing from the picture early this morning was the normally ubiquitous presence of airplanes. To people living in this region - home to three major commercial airports and four major airports for business, charter and general aviation - the last time aviation shut down to this extent was September 11, 2001. Sure, Irene had the airlines cancelling thousands of flights - running 24/7 they've got experience and manpower to handle it. 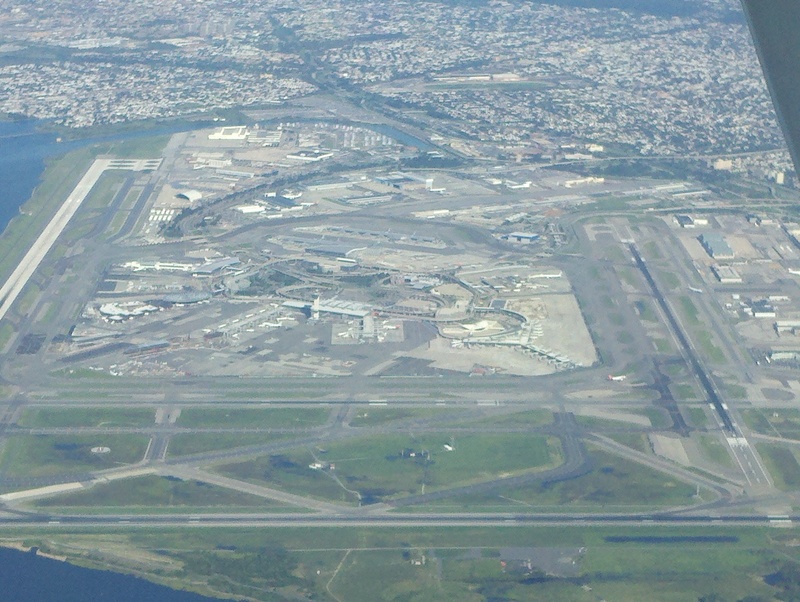 (See this spooky shot of JFK Airport from Frank Van Haste's blog here.) 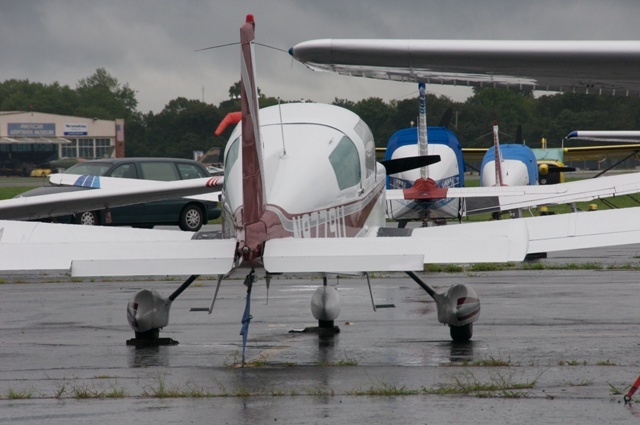 When it comes to business and general aviation, it's the very unusual scenario that has them packing up and flying out of town. The exodus began late last week and increased in intensity as the weather forecasts became more dire. 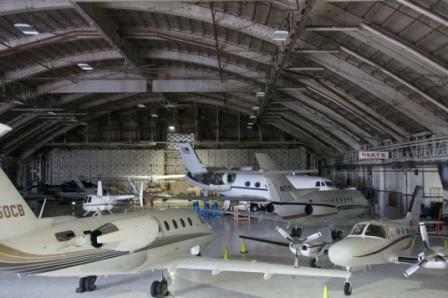 Planes were ferried to Pennsylvania and upstate New York and to anywhere their owners could find hangar space. "We didn't now how bad it was going to be, so we wanted to be sure we were prepared," said Michael Geiger, airport director at Republic Airport in Farmingdale, New York, which is home to more than 500 mostly single and twin engine piston aircraft. Though Geiger didn't know how many, a number of planes were flown to inland airports. Shortly before our conversation this morning, five of the planes belonging to the flight school of Farmingdale State College had returned. They were not so lucky at Teterboro Airport, just nine feet above sea level, the airport remained closed today as workers tried to clean up. The plan is to open the airport tomorrow. Wisely, there were no airplanes left on the ramp during the storm, and damage was confined to the airport. Thirty-five miles northeast, Westchester County Airport is busy, busy, busy taking the flights intended for the New Jersey airport and closing the short runway - 11/29 - so that the planes destined for Teterboro have a place to park while waiting for the airport to reopen. 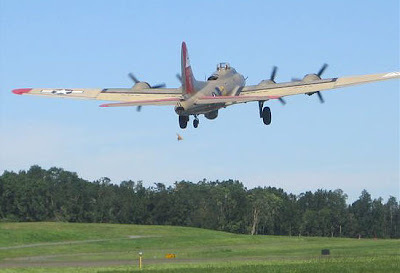 Good thing then, that the most dramatic post-Irene activity happened earlier today when three touring World War II warbirds belonging to the Collings Foundation departed after their annual visit to the airport went soggy. 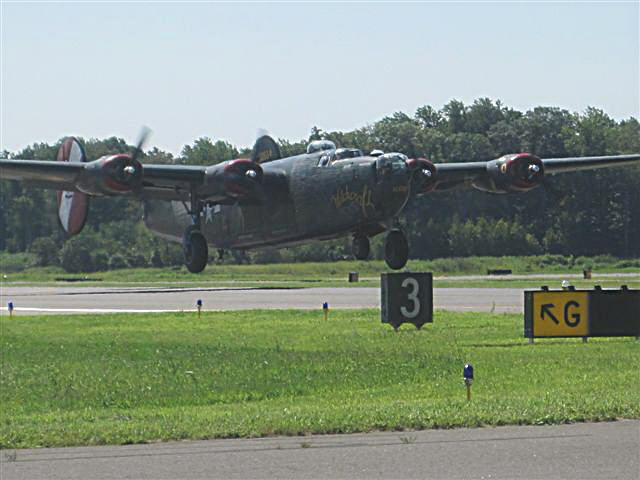 Airport executive and aviation enthusiast, Steve Ferguson was out on the airfield seeing them off and taking photos of the P-51 Mustang, the B-24 Liberator and B-17 Flying Fortress, all of which were in town for the annual Wings of Freedom visit. 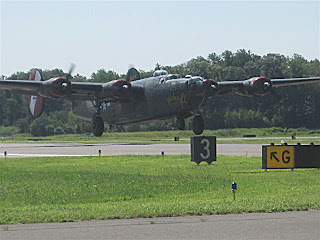 Ordinarily, when the planes are here, the foundation sells walk-through tours, flight experiences and even flight training. But on Saturday, when it became a wash-out, Landmark Aviation one of the FBOs at the airport did some shuffling in its hangar. "Landmark Aviation was very gracious to move some planes around in their hangars to make room," said Hunter Chaney marketing director for the foundation. Westchester is my local airport and I am accustomed to hearing the general aviation and regional traffic, so as I took my early morning walk it was odd to see the perfect flying conditions and hear everything but airplanes; the birds, the leaf blowers, the chain saws and the electric generators were all making their post-hurricane music, but I need not have worried. The corporate jets started making their presence known before I had my morning coffee and as I write this blog, even the noisy Piaggio is back. That was unforgettable moments for you. I can't imagine a day without airplane. Thanks for share your experience here.